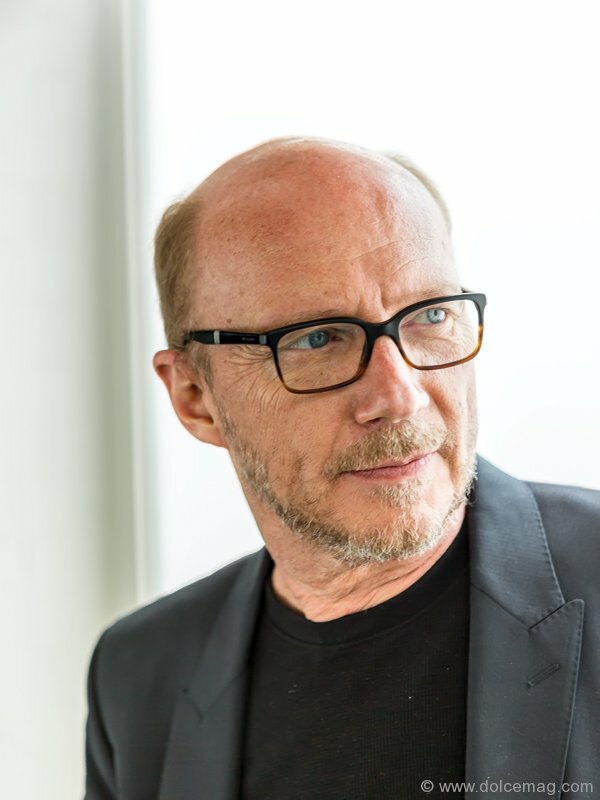 Academy Award-winning filmmaker Paul Haggis sits comfortably in the corner of a bustling, star-studded party at the NKPR agency headquarters in Toronto’s west end. The shindig is welcoming celebrities and local VIPs to a little pocket of Hollywood in the heart of Toronto, but despite the flowing bubbly, thumping music and film-themed chitchat surrounding him, Haggis’s mind is nearly 3,000 kilometres south of here. The Crash director was in town this past September for his sixth annual Artists for Peace and Justice Festival Gala, a fundraiser that has become something of an earmark for philanthropists and celebrities. Sponsored by long-term partner Bovet 1822, co-hosted by George Stroumboulopoulos and co-chaired by Sylvia Mantella and Natasha Koifman, a night of glamour and giving back unfolded as A-list do-gooders flocked to the faux castle grounds of Casa Loma for the illustrious affair benefiting Artists for Peace and Justice (APJ), the non-profit, Haiti-focused organization headed by Haggis. It was there, in the poorest country in the Caribbean, where Haggis first sparked the revolutionary concept of APJ, an organization that empowers Haitians and elevates the philanthropic model. It was 2008 during his visit to Haiti that Haggis met Fr. Rick Frechette, an American doctor and community organizer who had been working there for over two decades. Frechette and his Haitian team ran the St. Luke Foundation, constructing orphanages, medical clinics, schools and other institutions to strengthen citizens and, in the long run, the country. The meeting sent Haggis back to the U.S. filled with the kind of inspiration a scriptwriter has moments before putting his/her pen to paper. Six years have passed, and APJ is now a blossoming assembly of some of the world’s brightest stars and luminaries, all committed to supporting the tremendous efforts of the St. Luke Foundation. APJ is most notably working on funding two secondary schools in Haiti, the Academy for Peace and Justice in Port-au-Prince — the country’s first of its kind that offers all students full scholarships — and the Artists Institute in Jacmel, which exists to feed and fine-tune the abundance of creativity that exists in young Haitians. All of this is operated under a philosophy that sounds almost too good to be true. Knowing that all too often generous hearts get taken advantage of by pseudo-charities, APJ has become known for maintaining organization-wide accountability and transparency — a rarity in today’s philanthropic industry. Haggis proves this by having the foundation’s annual audit regularly posted online for interested donors to review. And judging by the $18 million that APJ has raised over the past six years to fund the St. Luke Foundation’s various health-care and educational projects, the honesty policy appears to be delivering good karma for Haggis and his team. With a board of directors boasting the likes of Ben Stiller, Olivia Wilde and Gerard Butler, and an advisory board comprised of Adrien Brody, Russell Crowe, Clint Eastwood, Jane Fonda, James Franco, Diane Lane, Jude Law and a handful of other names, the organization truly is a band of artists. But these celebrities aren’t simply poster people for the cause, they’re truly passionate about making it happen — and they’re not afraid to get their hands dirty in the process. Susan Sarandon recently returned from her own voyage to the school campuses, and Demi Moore, Butler, Stiller and Wilde — among others — have all flown down to Haiti to chip in as well. Despite the mega-watt personalities attached to the organization, Haggis assures that in terms of the makeup of the foundation, as integral as the artists are to the cause, he wants the public to focus more on the “Peace and Justice” part. Under a September night sky at Casa Loma, the 2014 Artists for Peace and Justice fundraiser gala saw actor Madeleine Stowe and philanthropist Kate Daniels each pledge $500,000 to APJ for the next five years. Every dollar of the impressive $1.5 million total amount raised at the event went directly to Haiti. When you ask Haggis what the best part of APJ is, his answer is as poetic as his screenplays and as honest as the charity he’s built.